The New Orleans Lager & Ale Brewing Company (better known as NOLA Brewing) at 3001 Tchoupitoulas Street, which opened in 2008, has expanded its facilities and is ever-brewing up new concoctions to the delight of beer afficionados and amateurs alike. 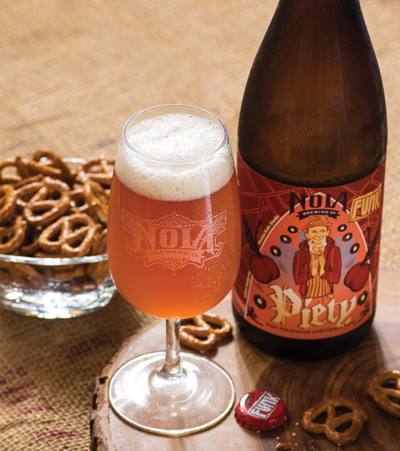 I’ve never been much of a beer drinker, but their new brew, the Piety sour, converted me at a recent tasting. Made with cherries, it’s tart and refreshing – the perfect segue into another flavorful, sunny season.